double brightness comparing with our ordinal laser was achieved! It enabled to see laser beam more clearly in the place where it was not. 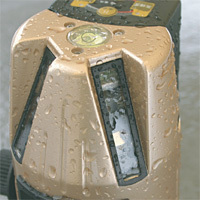 Water and dustproof equivelent to IP54 made it available to work in the harsh environment. Even for indoor operation, dustproof is inevitable. 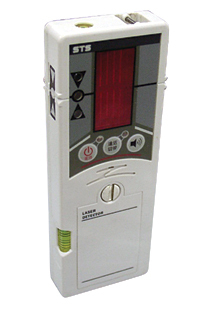 Using the optional detector, SS-50Z, it makes it enable to detect laser beam by maximum about 50m in the light place where is ususlaly difficult to see it. 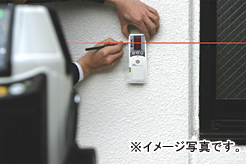 Shiny Spirit Level makes it easy to confirm your operation in the dark place. Furthermore, it also informs you if you forget turning off the instrument. 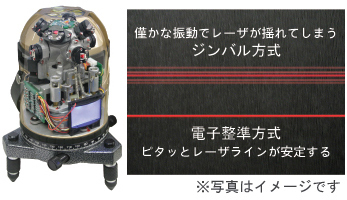 In the automatic compansation off mode, even at the angle which is exceeded the automatic compansation range(±３°）, it is able to emit laser at your desiable angle. 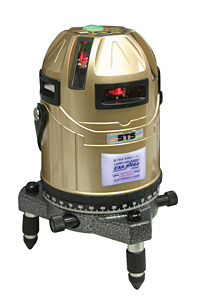 ※Using optional Slope Head(STH70) will make your operation more effective. ※It is not able to work for Horizontal, Vertical and Cross Lines（９０°）. 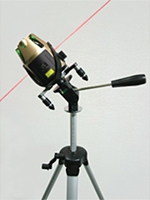 It can freely open and close the tripod. It is very useful when using in the small space and near the wall. AA type rechargeable Nickel Hydride battery(AA2300）can be used. In combination with original quick charger(QCS-55）, it can be used much economically and efficiently than disposable battery. 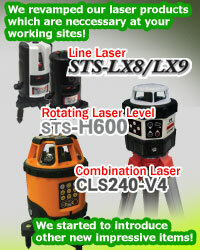 Adopting very efficient electronic leveling system suitable for the work place where always have some slight vibration!Comparing with gimbals system in which laser cannot be stable with a little vibration, this system can make the laser more stable in the same environment. 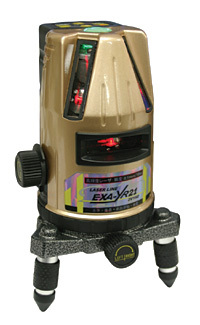 ※For EXA-YR44, 4 pcs are neccessary. 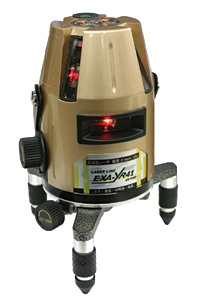 ※For EXA-YR41, 4 pcs are neccessary. 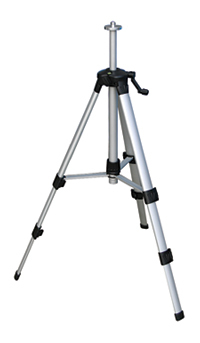 ※It is neccessary to use together with optional elevator tripod. ※For EXA-YR21, 3 pcs. are neccessary. 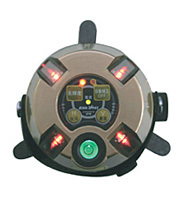 Able to see the LED which shows the detecting position from 3 directions such as front, side and back. it makes the buzzar sound. Power EXA-YR44Alkaline dry cell battery AA(LR6)×4 pcs. EXA-YR21Alkaline dry cell battery AA(LR6)×3 pcs. Power AAA dry cell battery ×3 pcs.